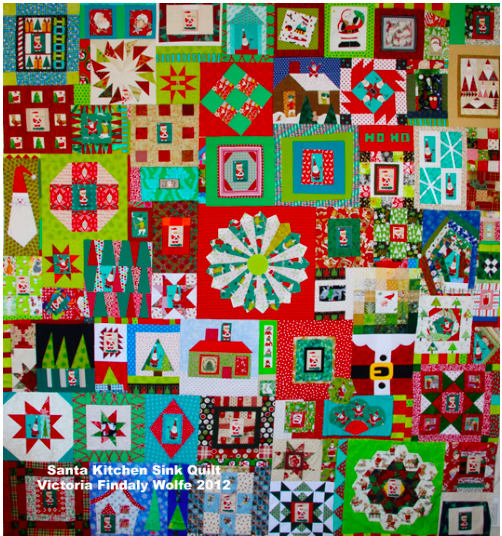 The T-Shirt Everything But the Kitchen Sink quilt is a completed top! It gets to be quite a challenge to maneuver under the machine. when the top is nearly completed ! I do hope the customer loves it as much as I do! 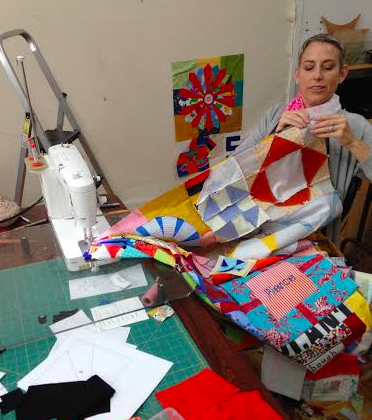 Still waiting to be quilted... LOL. sigh. These are so lovely! I have one of these that gets worked on every now and then, but maybe this summer it will get done. I also have a pile of silks that I've been collecting for "one day". 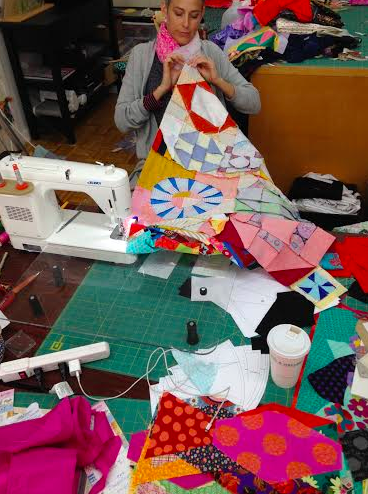 Quilting is so great. You can work on stuff when you are motivated and when you are motivated, the results are stunning! 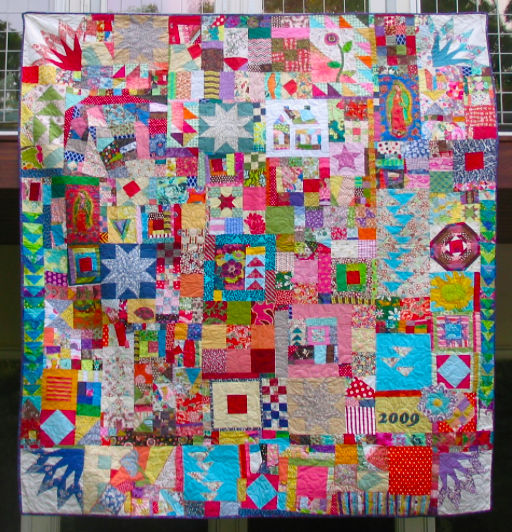 Thank you for posting the photos of these fascinating Kitchen Sink quilts - I adore them!! 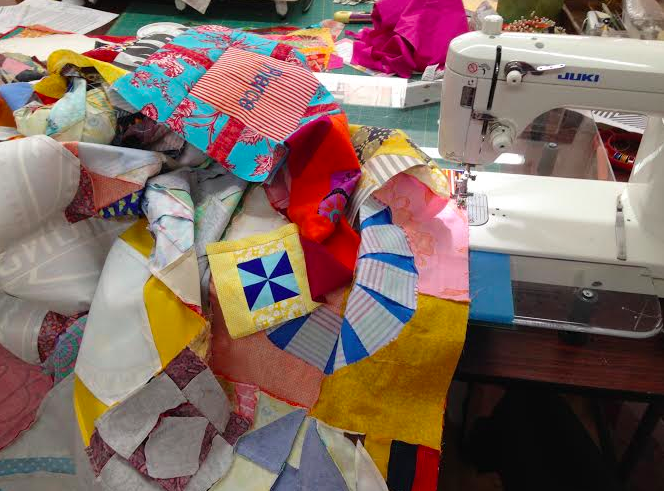 It certainly looks as if you have to wrestle with the quilt under the machine, but the finished results are beautiful. no doubt it will be loved !these are such fun! luv them all!!!!! those are just plain awesome!!!!! I had never seen these before, but I love the idea. 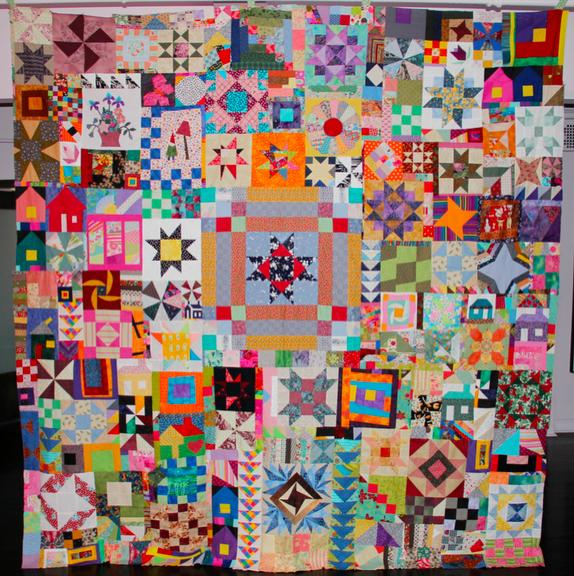 Many times I want to just do one square and not a whole quilt with that one square design. This is fantastic! What a great new EBTKS this is! I envy the customer already! 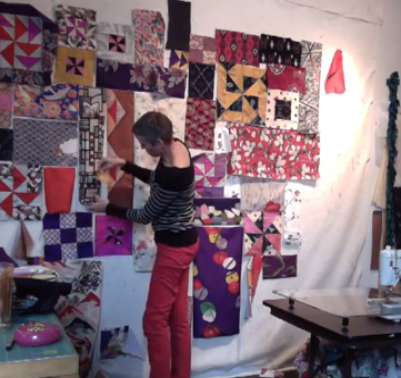 Funny to see how in most of these quilts your corner blocks are sort of echoing. Love the drunkard this time! 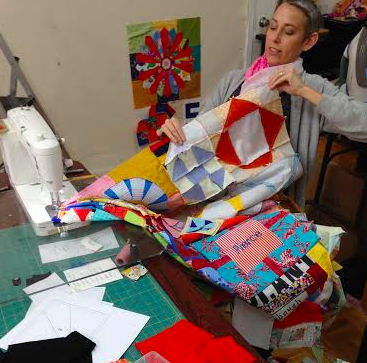 Your quilts sure are fun to look at! 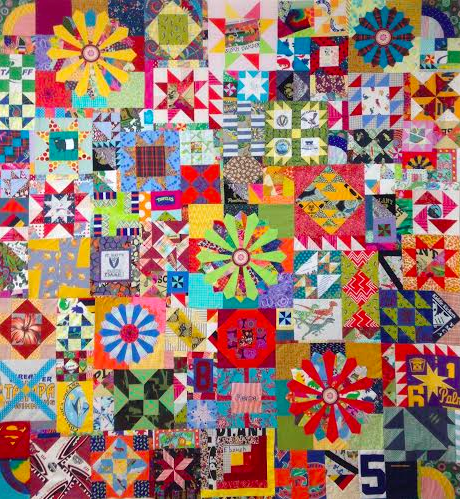 I have made quilts similar to these and it does take a lot of time to fit all the pieces together! It looks amazing (as do all your others!) and I'm sure your customer will love it too!